In the Chinese calendar, 2013 is the Year of The Snake. This ancient serpent is both charming and seductive, yet there is a hint of danger attached to it as well. Many jewelry designers have marked this occasion – and celebrated the animal itself – by overtly including this ancient reptile in their spring 2013 collections, while others have turned to more traditional spring motifs like flowers and nature. For fashion lovers, the results are both bold and alluring! 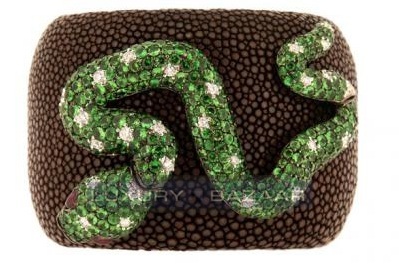 Bvlgari is trending this spring with its new Serpenti collection. 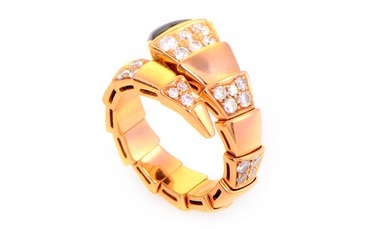 Bvlgari’s Serpenti Gold Diamond Ring is simply fabulous with a beautiful, classic shine. It is made of 18K gold, the head is set with onyx, and the endless circular body features a diamond demi pave. The sophisticated styling of this ring will complement any little black outfit when out for the evening. There may also be some unexpected good fortune coming your way when wearing this ring, as the snake, in Taoism, is the symbol of wisdom, and easily accomplishes his goals – an added benefit? de Grisogono, in keeping with this year’s theme of the serpent, has a new selection of beautiful, bold wide cuff bracelets. One of the most adventuresome pieces is their blackened white gold bijoux galuchat diamond and gemstone cuff bracelet. They have cleverly combined 26 white diamonds with almost 20 karats of colored stones. So ubiquitous is the serpent for 2013, that this curious piece is a must-have for your collection. Whether you are wearing a light gypsy dress in the warm spring air, or a pair of jeans to go shopping on a still chilly Saturday, this piece is stunning. Chanel has brought together the traditional flowers of spring with the timeless sophistication of diamonds. Most of their spring collection is based on one theme: the camelia flower. 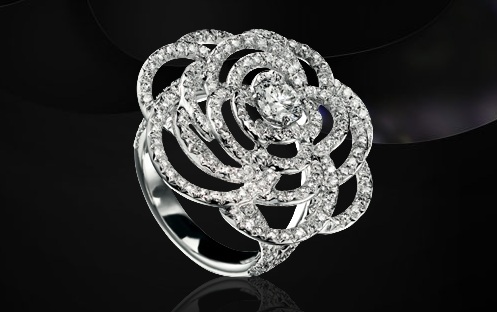 One of their most remarkable pieces is the camelia ring in white gold and diamonds. The open design features loops encrusted with diamonds, which are actually outlining the flower petals. A closer look reveals the center stone, a brilliant single diamond. So unique is this piece, that it cannot be defined; this most beautiful ring is perfect for any wardrobe. Simple for everyday, and sophisticated for special evenings. 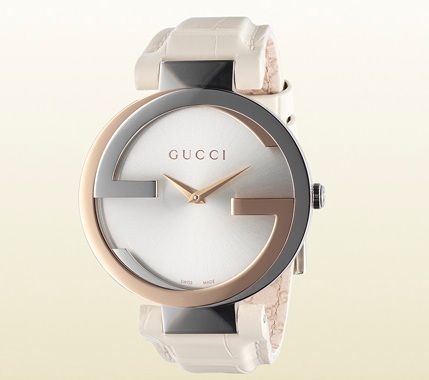 Gucci surprises us this spring by reviving a classic timepiece: Swiss craftsmanship, combined with an updated version of the familiar interlocking G’s, results in the elegant new interlocking G wristwatch. Gucci’s new timepiece is the embodiment of style, and will add a touch of subtle elegance to your casual wardrobe. This watch goes perfectly with business-casual or weekend wear. Cartier, whose name when spoken conjures up images of classic art deco jewelry, is introducing the panther chain link gold cuff bracelet, as part of their Maillon Panthère collection. This piece is so special, it is not scheduled to be unveiled until May, 2013. 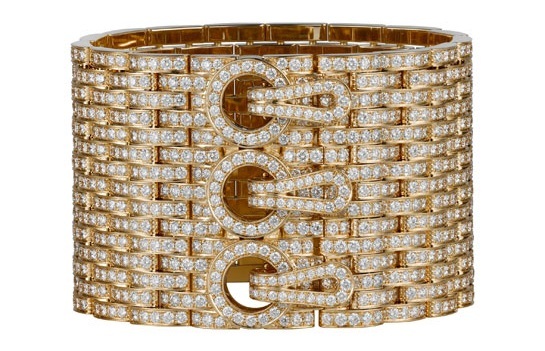 The cuff is encrusted with almost 40 carats of diamonds on 18 karat gold. This gold cuff bracelet’s sheer opulence demands that it be worn only for your most special occasions.